We help you discover, enhance, and amplify your brand's story. We've developed a unique process for answering critical business questions through design, prototyping, and testing ideas with customers. It's a unique combination of business strategy, innovation, mining the brains of thought leaders, disruptive thinking, and more—packaged into a tested process that provides recommendations that are proven to give results to small businesses. What's your story? What differentiates your brand? It’s our job to uncover, enhance and amplify that story. Names like Dueminuti, Brunswick and Hunt, The RUINS, have trusted Uncommon Cartography with their brands. Where you are just launching a business or looking to take yours to the next level, we partner with you at every stage of the process. Advance your vision and deliver meaningful results, we create cohesive marketing plans that leverage every touch point to get the highest return on your investment. We utilize our powerful network to engineer strategic partnerships and connections with influencers amplifying your marketing and social media efforts to reach your goals. A Nashville Grooming Brand Is Introduced To Influencers! 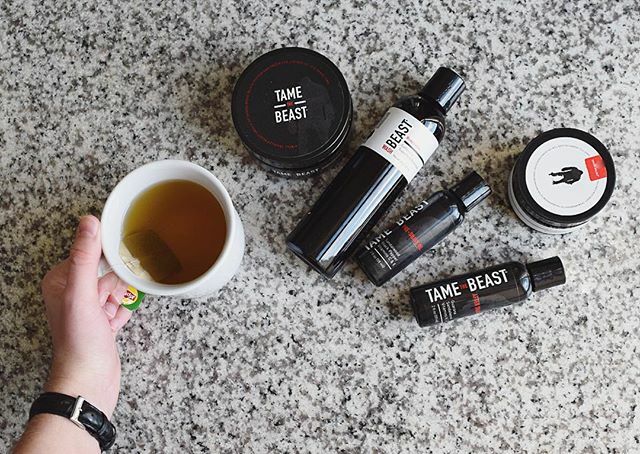 Uncommon Cartography partnered with Tame The Beast to seed product with male influencers across the United States as part of an awareness campaign. Not only did the influencers post about Tame The Beast but several of them also featured an additional giveaway on their blog/social media. The campaign reached 180K+, received 17k Likes, and increased followers by +95%. Our Tame The Beast campaign was such a success that many of the influencers asked to be contacted again for future opportunities. The dinner that launched a new series of collaborations. Pizza and Canoe Ridge Wine rooftop lunch was the first time that Uncommon Cartography worked to produce this type of collaboration. A terrific group of creatives including a brilliant local cook, fashion bloggers, an event designer and photographers, with an audience of 108k+, joined together to produce some amazing content for Canoe Ridge. The collaboration reached I love projects like this, because when you are with friends it never feels like work! The RUINS was established in 1993, by the time that Uncommon Cartography was contacted the venue had become a secret a little too well kept. We immediately set to work by launching a creative focus group which included restaurant industry veterans, a data scientist, a philanthropist, a writer and more. The feedback from the thought leaders led to the development of an action plan which included this photo shoot - a collaboration which brought together an incredible group of 16+ Seattle creatives on the rise! Did we mention that shortly after the shoot, the venue was featured in the Seattle Met and on the cover of the December issue?! A Ballard bar with a story to tell and food to savor. Brunswick and Hunt is a cozy bar in Ballard with quite a story. The bar and the painting it sits across from have been together for 100 years which is the perfect example of the fact that there are more than a few stories hidden beneath the surface of this establishment. The bar is located at the end of the same street as The Fat Hen and Delancy, who both seem to get a lot of love, but the local press has neglected Brunswick and Hunt. 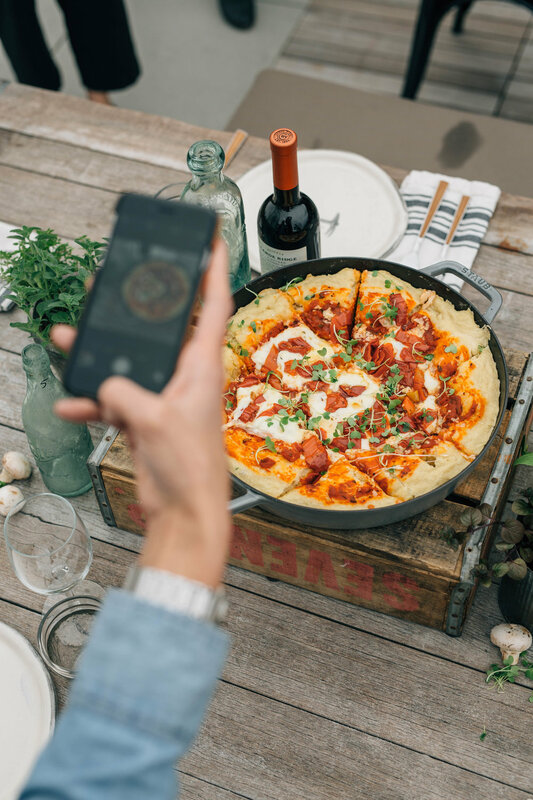 Uncommon Cartography kicked off the project by partnering with Danny Owens for fresh photography of the amazing food followed by bringing in a series of food bloggers and influencers to amplify efforts reaching a new audience of 100k+ for a 10% growth in sales. Uncommon Cartography is a boutique marketing and consulting company that provides strategy to some of the most innovative creatives and emerging companies in the food, arts & entertainment, digital media, tech, and fashion industries.